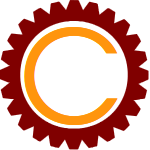 An entity that acts in a Cyclus simulation. Agents enter the simulation after having been cloned from a prototype. An agent’s internal logic and behavior is determined by its archetype. A phase during a simulation time step in which agents are allowed to query the simulation environment and perform general actions. A collection of logic and behavior which can be configured into a prototype which can then be instantiated in simulation as a agent. Archetypes are represented as C++ classes that inherit from the base cyclus::Agent class. An individual from science, academia, government, or the general public interested in contributing to the ecosystem of archetypes available for use with the simulator. A code repository or server that is kept private during development to secure proprietary or sensitive work. A software development workflow, usually on a closed development platform, that is not transparent to the public as authorization is required before development access to the codebase is granted. This is used for secure proprietary or sensitive work. A name assigned to a class of resources. Cyclus determines the flow of resources during a time step based on the supply of and demand for commodities based on agent’s requests and bids for those commodities. A list of nuclides and their relative quantity. The queryable environment of a Cyclus simulation. An advanced developer tasked with developing and maintaining the cyclus kernel and related code. The repository at github.com/cyclus/cyclus and primary focus of the core developers of the cyclus project. The simulation engine housed in cyclus core. Archetypes defined in modules are linked dynamically to the kernel at the beginning of every simulation. The kind of the archetype. Usually this is either region, institution, or facility. For agents that are not specifically one of these kinds still inherit from the Agent class the term archetype is used. Otherwise the entity is unknown. A computational framework for modeling nuclear fuel cycles. A phase during a simulation time step that is managed by the cyclus kernel. A shared-object library that houses implementations of archetypes and related tools that is dynamically linked to the cyclus kernel at runtime if one of its archetype is used in a simulation. The progression of nuclear fuel through the collection of facilities and process stages from mining to disposal that are necessary to generate nuclear power as well as to prepare, manage, recycle, and store nuclear fuel. A code repository or server that is publicly viewable and downloadable, though not necessarily modifiable. A software development workflow, usually on an open development platform, that is transparent to the public. Hallmarks include public bug reports, source code access, and code contribution. An agent that manages (is in charge of) some number of child agents. A configured archetype with initial state and conditions. Agents that do act in the simulation are cloned (copied) from prototypes. A member of the public, government, or academia who use Cyclus to run simulations.